For most children, Christmas is all about sparkling lights, building snowmen, Santa Claus, and unpacking gifts. Also, let’s not forget about their relatives, even though they can get a bit annoying for the little ones. Yes, having an aunt or an uncle by your side asking how’s school or reminding everyone of the embarrassing things you did when you were a bit younger can be a burden. We can all agree that relatives are a real pain in the neck sometimes. But, at least, we have someone to complain about. Unfortunately, there are people who don’t have any family members to be annoyed at. It’s just strangers around these poor souls who are in the exact same situation: alone among others. There’s no one the guide them. No one to keep them safe and away from harm. All they have is trust in the volunteers of International Committee of the Red Cross (ICRC), who work hard to reunite the families that have been torn apart because of war conflict. There are only a few weeks until Christmas, which means that big NGOs try to gather vital donations to help those unfortunate forget about their suffering. ICRC’s praiseworthy plans don’t change, even with the most wonderful time of the year just around the corner. People living in conflict zones probably don’t need Santa to deliver them toys and warm socks. They need to know that their loved ones are safe. That’s why the NGO continues its program to protect and help them get back to their families. To show just how committed to this plan the NGO really is, ICRC joined forces with creative communication agency adam&eveDDB and launched a Christmas-themed campaign, shouting out loud about its amazing work. In order for the campaign to reach the hearts of as many people as possible, the London-based agency cleverly included a couple of the seasonal clichés in a scenario where war dictates what happens next. 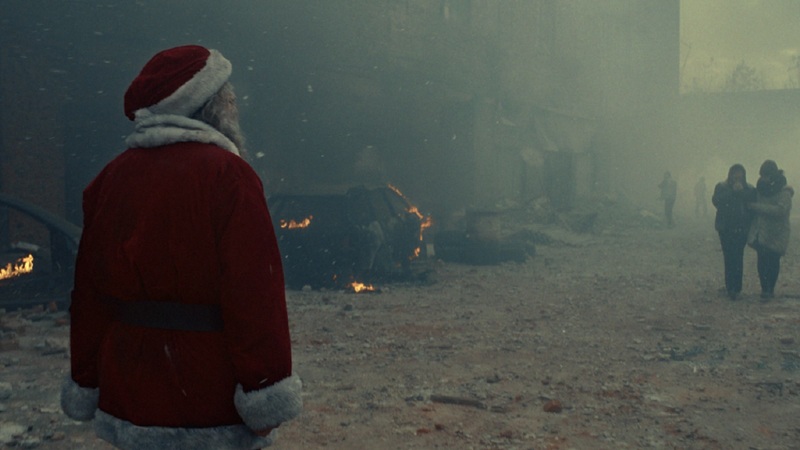 Titled “The One Gift Santa Can’t Deliver,” the ad’s events unfold within a conflict zone. The two-minute-long spot, directed by Gary Freedman from production company Independent, leaves us in the middle of a war where we can see an apparently confused Santa looking for something. Or someone. In this part of the world, Santa can’t use his powers or abilities. Still, he can do whatever the ICRC’s volunteers do, which is to give a helping hand to those in need. Check out the video below to see what Santa can do in a place where magic doesn’t exist, not even as a hypothetical concept. “The festive season is usually a time for family, gifts, and celebration. But sadly, this is not the case for hundreds of children, torn apart from their families by conflict and natural disaster. We wanted to create a film that showed what Christmas is like for these children. At the same time, we wanted to create something that would cut through the usual Christmas schmaltz,” continued Mike Sutherland & Ant Nelson, ECDs at adam&eveDDB. The ad runs until 31st December in markets including the UK, France, Germany, Russia, Spain, Portugal, North America, Canada, Brazil, Argentina, and Perú. This gives you a plenty of time to share the video and help ICRC fulfill its mission. But remember, families should be together all the time, not just during Christmas only. Help the NGO bring families separated by conflict back together again.